Can it ever just be about choice? Back to Natural is a powerful documentary that exposes an historic and contemporary view into worlds and issues that are often unknown. The film provides audiences with a complex and global understanding of the ways in which race, identity and hair are all related, and offers a compassionate view point on issues that impact African descendants’ sense of self and the often unknown barriers society places on one’s ability to simply exist. 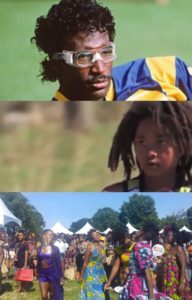 How many people know that young children around the world are kicked out of school for simply wearing their hair the way it naturally grows? How many people realize that choosing to not chemically relax one’s hair or wear wigs or extensions can be extremely damaging, impacting a Black person’s ability to be employed? 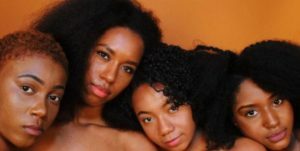 Back to Natural gives a unique and shocking look at the global policing of Black bodies and the underlying racism against natural looks. The Natural Hair Movement today represents the peeling off of a decades-long mask that required Blacks to adopt the look and feel of the larger white population. 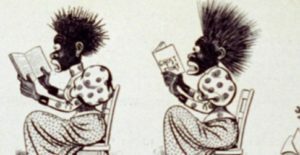 Rooted in an unlikely form of racism, it became compulsory for Blacks to shed their natural looks to secure jobs and find acceptance. Hair-straightening products (many of which proved damaging), wigs, and extensions were commonly used to hide the genuine and natural look of individuals. The psychological influence of hiding in disguise has had great impact across the generations. Back in the 60’s the “Natural” look resurged but was met with renewed discrimination and prejudice. Considered anti-establishment and part of a Black revolution, it furthered a bigoted societal response. The movement is now resulting in a newfound freedom though physical authenticity. And, it’s not a movement for just the young or just in America. It spans across all ages, includes both men and women… and it’s worldwide. Salamisha Tillet PhD: Distinguished professor, Award-winning Activist, Author, Cultural Critic and Non-profit Founder. Carl Hart, PhD: Distinguished Professor, Public Intellectual, Researcher, and Author. 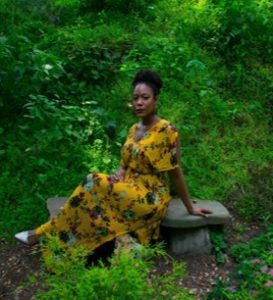 Natasha Gaspard: Award-winning Television Producer, Founder / CEO of Mane Moves Media, Inc.
Born in Brooklyn, New York to parents from Kingston, Jamaica and Carriacou, Grenada, Dr. Gillian Scott-Ward, is a clinical psychologist residing in New York City. After completing her undergraduate degree at Cornell University in Psychology and Women’s Studies, Gillian pursued her PhD in Clinical Psychology at the City University of New York. She completed her dissertation on the impact of media stereotypes on Black students. Gillian was inspired to embark on this film project after deciding to start her own natural hair journey and seeing the conflicts her patients struggled with regarding hair, racial identity and authenticity. She brings to the film experiences as an artist and healer and hopes that Back to Natural inspires dialogue, self-reflection, compassion, as well as individual and community healing.